WestJet's new Ultra Low Cost Carrier 'Swoop' is offering one way flights in June from Halifax to Hamilton, Ontario for $40 CAD including taxes. Keep in mind that this is the base price, and includes *only* a personal item. Low cost carriers charge extra for *everything*. 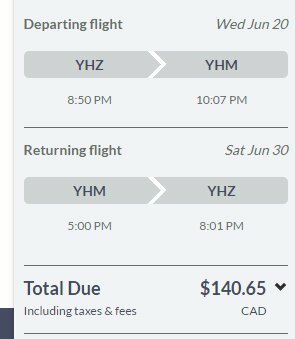 You can also find some roundtrip flights from Halifax to Hamilton in June for $140 CAD roundtrip (without bags). 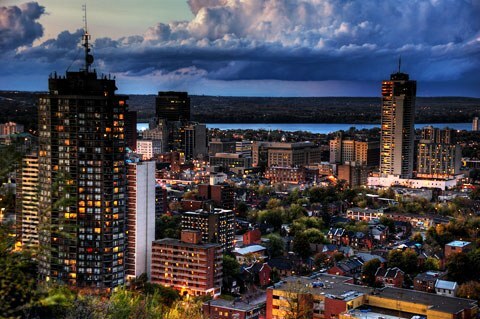 halifax, yhz, flight deals, ontario, canada, hamilton, yhm, north america and swoop.